Pyschedelic baby! 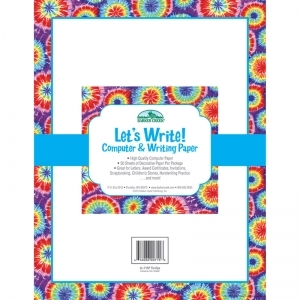 Your students will be feeling groooovy with this Tie-Dye Computer Paper! 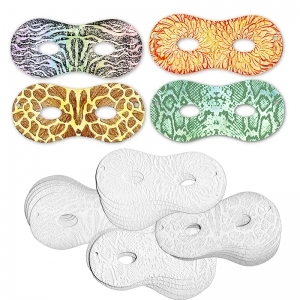 Our Tie-Dye computer paper is multi-directional! 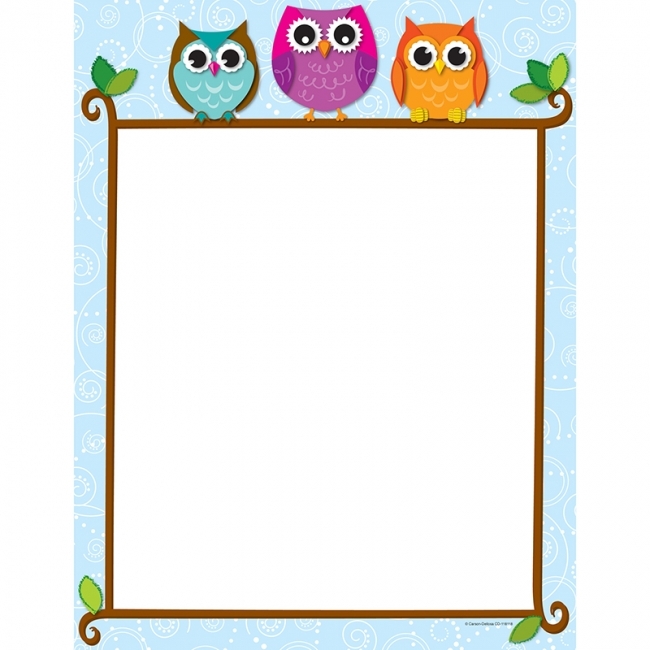 Use it vertically for writing letters home and other correspondence and then turn it sideways to create customized award certificates, notices...and more! The possibilities are limited only by your imagination! See our full line of coordinating Tie-Dye and Groovy decor items to help you create a fun-filled, bright and happy learning environment! Classy, sporty, and fun, this Red and White Dot Computer Paper is perfect for any occasion! Our Red & White Dot computer paper is multi-directional! 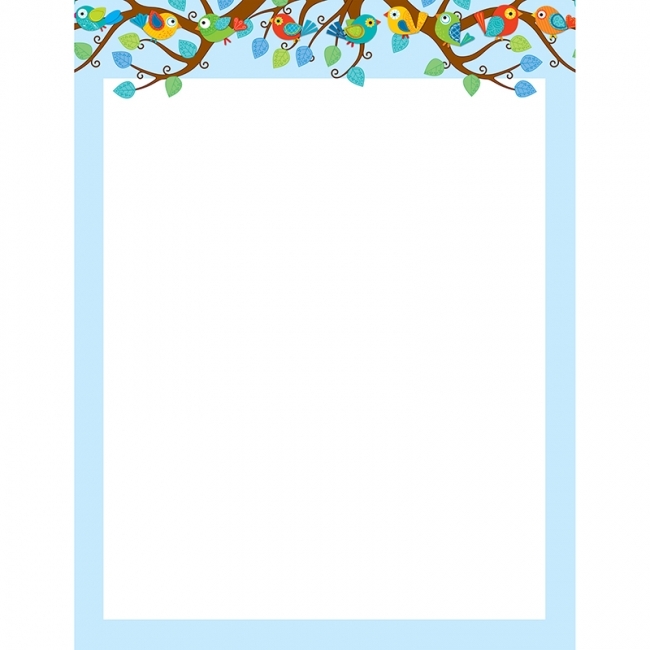 Use it vertically for writing letters home and other correspondence and then turn it sideways to create customized award certificates, notices...and more! The possibilities are limited only by your imagination! 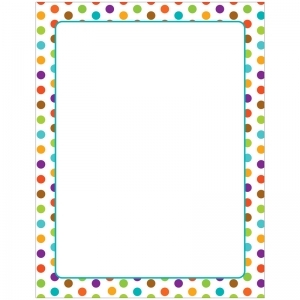 See our full line of coordinating Dot decor items to help you create a fun-filled, bright and happy learning environment! 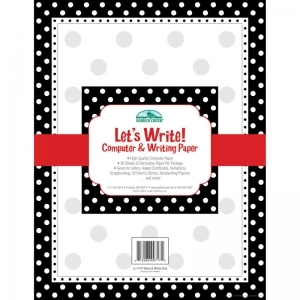 Classy and stylish, our Black and White Dot Computer Paper can be used for any occasion! Our Black & White Dot computer paper is multi-directional! 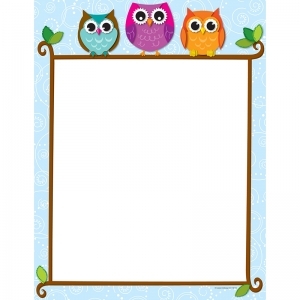 Use it vertically for writing letters home and other correspondence and then turn it sideways to create customized award certificates, notices...and more! The possibilities are limited only by your imagination! You'll find dozens of uses for our decorative computer paper. 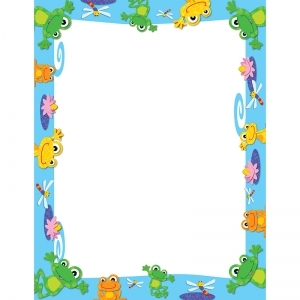 Send memorable letters home, use it to make colorful invitations, create frameable awards and certificates, make signs, bulletin board displays...and so much more. 50 8.5" x 11" sheets per package. 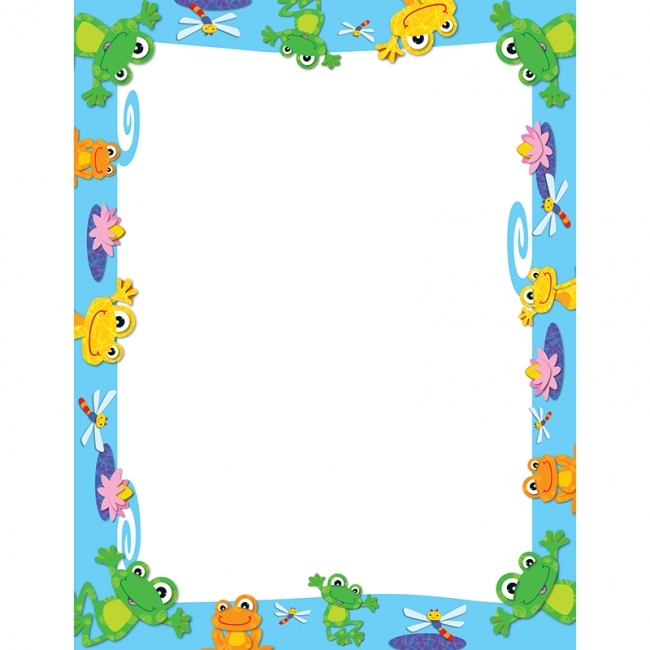 Use this playful and light-hearted FUNky Frogs design to promote your classroom theme! So many uses to liven up projects, writing assignments, class newsletters and more! 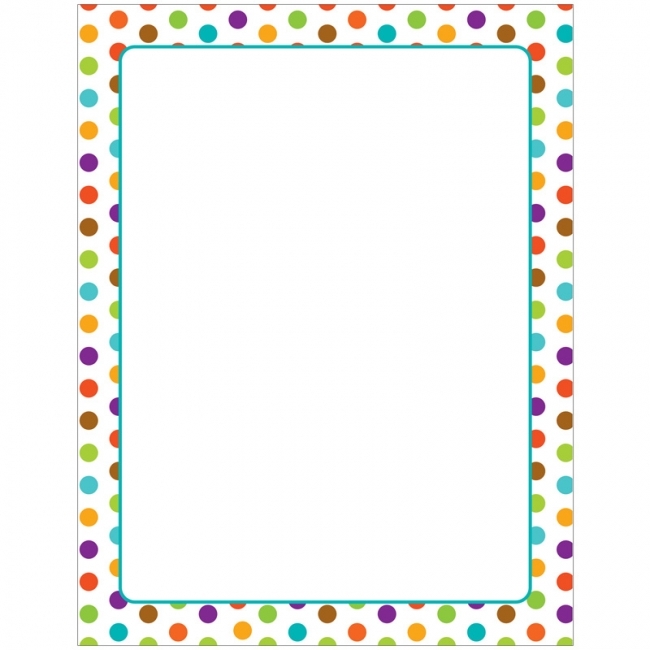 Add style to personalized awards, letters and lists--the possibilities are endless! 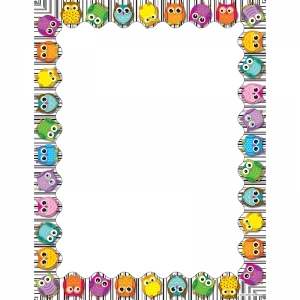 Look for coordinating products in this design to create a lively and FUNky classroom theme! Comes in 50 sheets per pack. 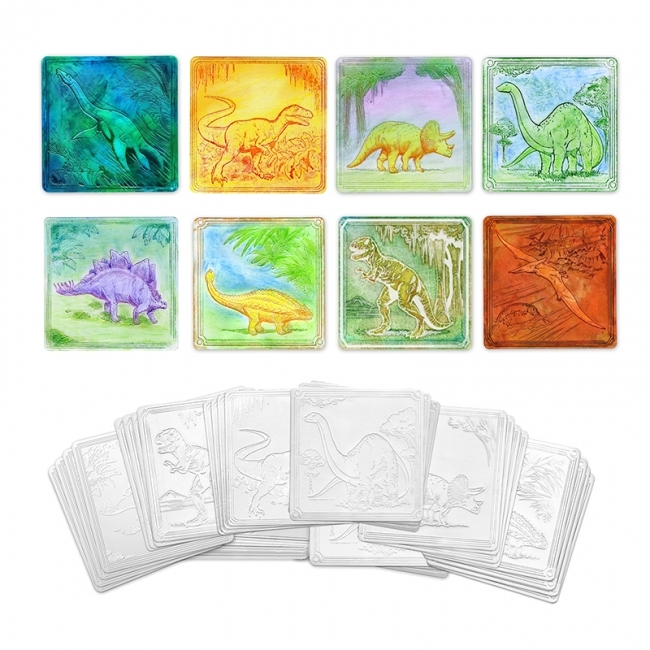 Our Embossed Paper Is A Fun, Interactive Craft Project For All Ages. 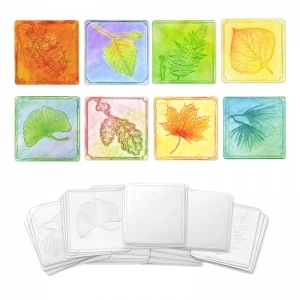 Leaf Designs Are Stamped Into High Quality Heavy Weight Paper. 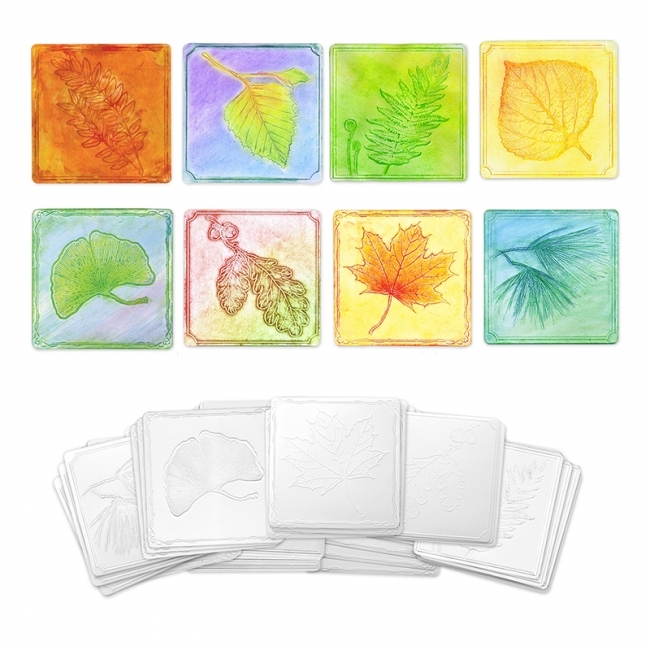 Students Can Simply Rub On The Designs With Crayons Or Colored Pencils To Create An Embossed Effect. 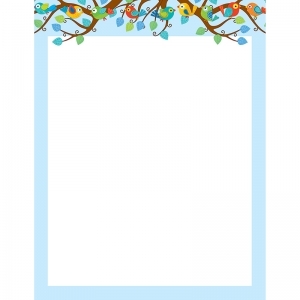 Our Embossed Paper Is A Fun, Interactive Craft Project For All Ages. Dinosaur Designs Are Stamped Into High Quality Heavy Weight Paper. 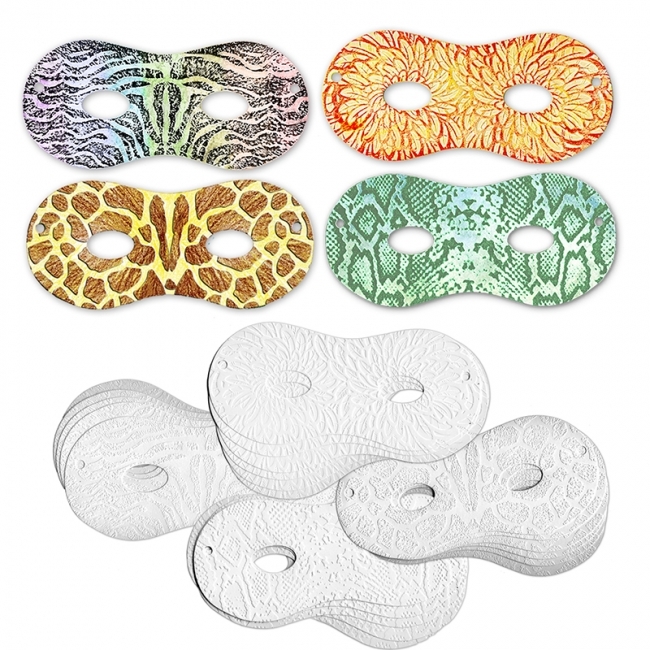 Students Can Simply Rub On The Designs With Crayons Or Colored Pencils To Create An Embossed Effect. 2 each of 8 designs in larger sizes designed for full scale art projects. 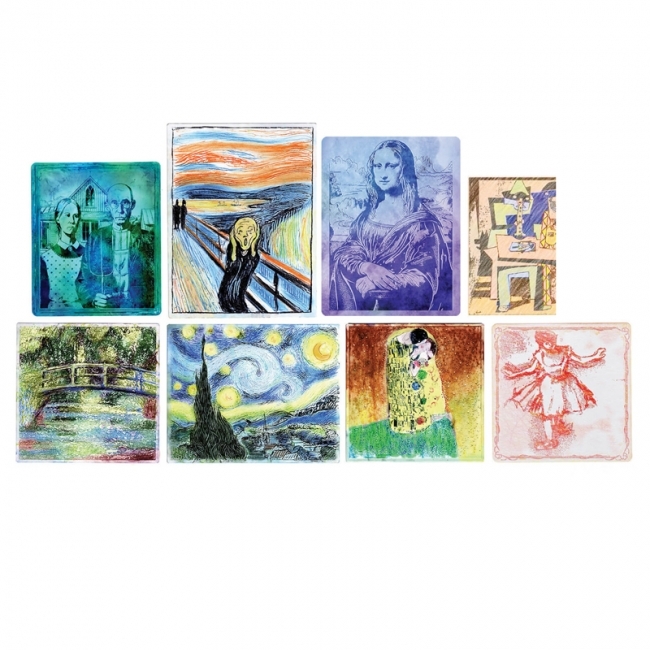 A fun new way to introduce students to the art masters. Sizes range from 7.5" X 7.5" To 11" X 7". 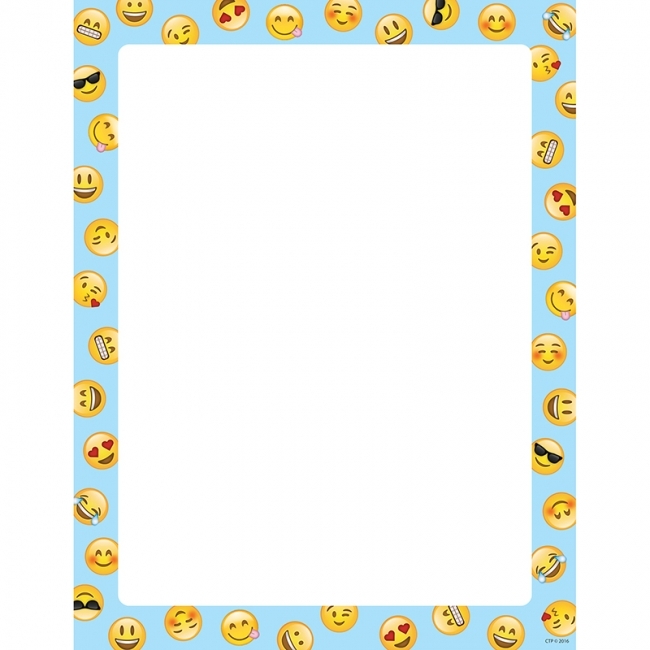 Use this Emoji Fun designer printer paper to personalize and dress up newsletters, announcements, awards, event programs, and door signs. 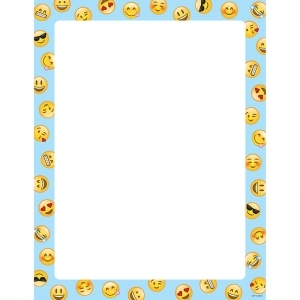 The smiling emoji faces will make great stationery for notes to parents, special notes to students, or for other written correspondence. Paper easily feeds through a variety of printers. 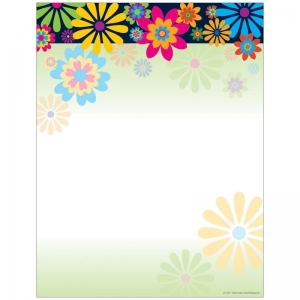 50 sheets per package, 8 1/2" x 11". Use this Chalk It Up! printer paper to make creative newsletters, announcements, awards, event programs, and door signs. 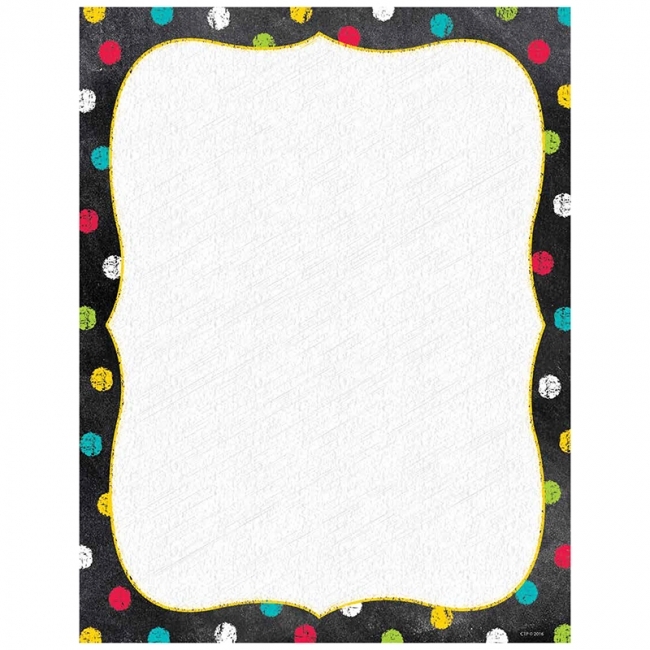 The fun chalk background and colored chalk embellishments will make great stationery for any type of written correspondence including special notes to parents or students.